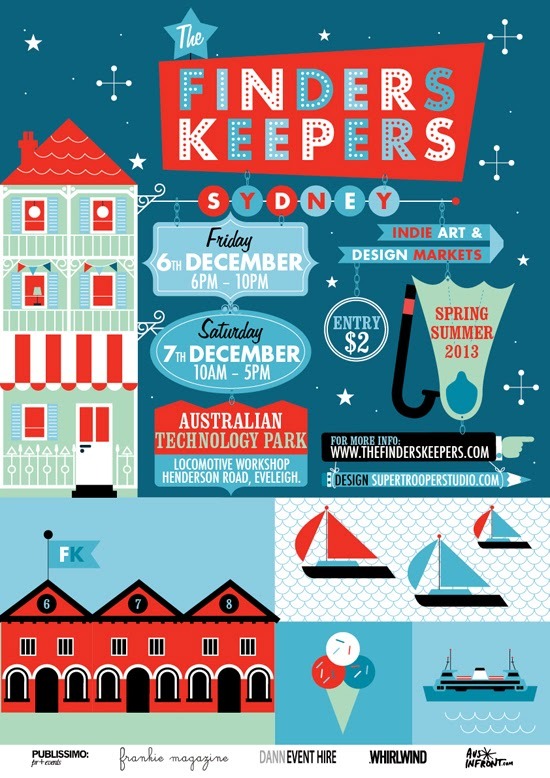 So for those of you who have been under a rock perhaps haven't heard that it is the Finders Keepers markets this weekend?! Starting tonight with bands, a bar and all the stalls open! I don't know about you but I am quiet ready for a drink! To me it's a bit of a dream evening, booze, live music and shopping for handmade gifts.. HELLO. I am hoping to get a few christmas gifts and chat to some local and not so local designers. 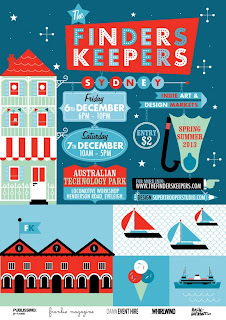 I love the posters for this season's market, made by Super Trooper studio . 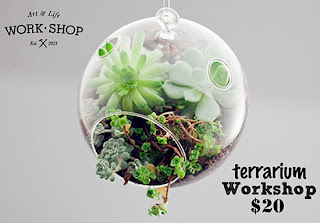 They are super bright and colourful.. all their work is beautiful so check out their shop too! As always there is a huge list of amazing designers, I would recommend just going along to see them all! You will find a list online. As well as handmade products including jewellery, textiles, ceramics and artwork there is also a farmers lane featuring local produce from other Australian creative peeps. 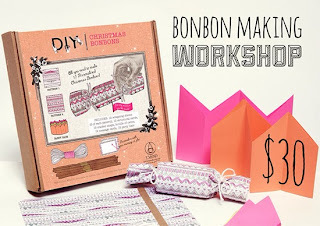 Also there are workshops running which is an awesome new edition! 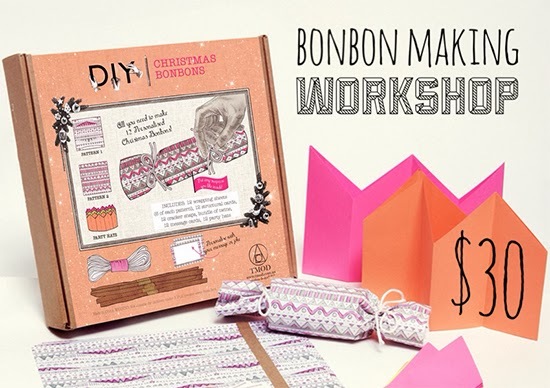 Tmod are holding a bonbon making one, no need to book you can turn up with a special aknick knack to put in there and make yourslef a bon bon or 2... They will also be selling the kits. Fabness. 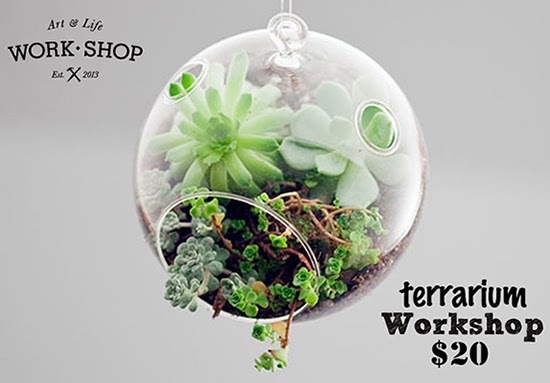 Another fab workshop going on is being held by Work Shop , Terrarium making which I might be tempting by!I am a bit of a fan... and what a bargain at $20, materials included. So, get yourself down there for the craft market event of the season! Have fun. Go get inspired.